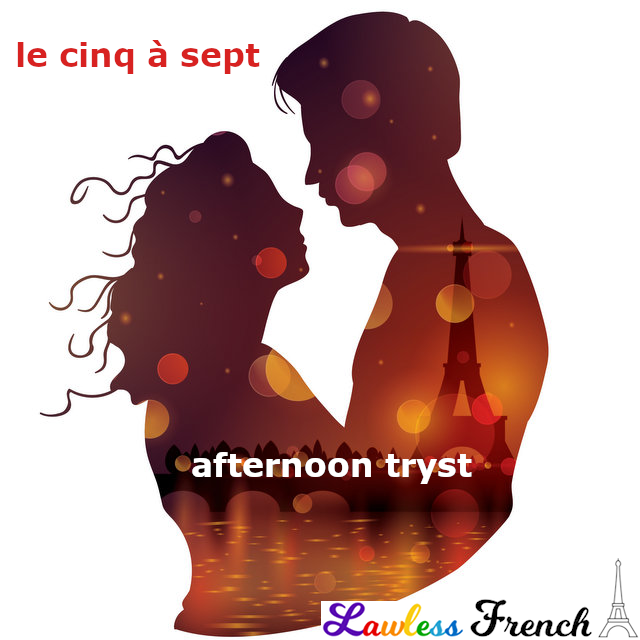 But the more traditional French after work pasttime is le cinq à sept: a two-hour window, from 5pm to 7pm, during which lovers meet up for a tryst before going home to their families. It’s hard to say when le 5 à 7 originated, but it has definitely existed since 1967, when Françoise Sagan wrote about it in her novel La Chamade. Par contre, je viens de me marier – qui sait ce qui va se passer dans vingt ans. On the other hand, I just got married – who knows what’ll happen in twenty years. In Québec, le cinq à sept means something else entirely; in fact, it’s a lot like happy hour, but without the discounted drinks: some friends meeting for a cocktail or coffee after work or before going on to some other activity. Other possible translations: afternoon get-together, rendez-vous.